KTM India has increased prices of all their motorcycles on sale in the country. When it comes to performance motorcycle segment, KTM India takes the top spot, as far as sales are concerned. The Austrian brand has found a huge fan following in India, which has resulted in added sales for the company. Apart from performance and looks, another reason why KTM bikes are fan favourite – is their high value for money proposition. KTM India offers a range of motorcycles in the 125-390 cc segment, which not only beats competition in price, but also in performance. 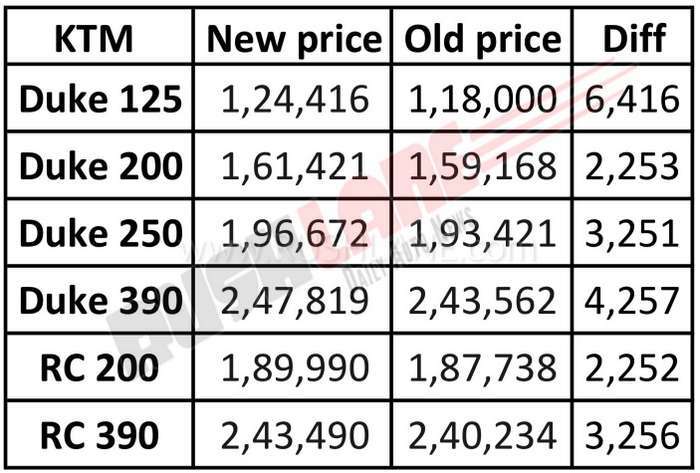 Speaking about pricing, KTM India has now updated price of all their motorcycles. The new pricing is in effect from April 2019. Below is the new prices vs old prices. It is the most affordable KTM which has now received the highest hike. Compared to older price tag, new price is higher by Rs 6,416. Duke 390 prices has received the 2nd highest hike at Rs 4,257. Prices of other bikes have increased in the range of 2-3k. KTM India will be launching many new motorcycles this year. One of them is the much awaited 390 Adventure, which has already been spied on test in Pune, near the company plant. 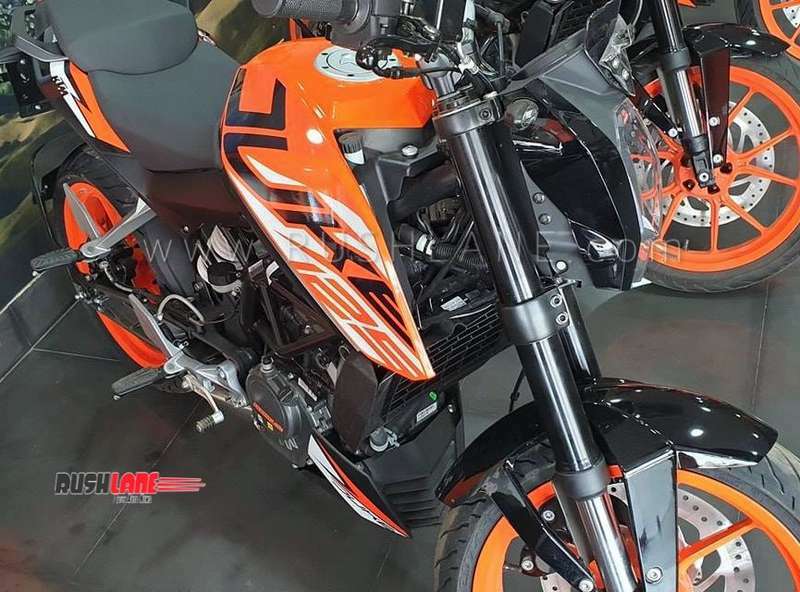 2019 KTM 390 Adventure will receive LED headlamps with small wind deflectors on either sides, turn indicators, tail lamp with LED, raised handlebars and hand guard. 390 Adventure will have a larger fuel tank as compared to the Duke 390. To aid rider comfort, there are forward positioned foot pegs with rubber inserts offering better ergonomics, an upright pillion seat and aluminum tail rack with integrated grab handles. KTM 390 Adventure will be powered by a BS VI compliant, 373.3cc, single cylinder, DOHC, liquid cooled engine. This engine generates 43.5 PS peak power at 9,000 rpm and 37 Nm peak torque at 7,000 rpm mated to a 6 speed transmission on board the Duke 390. KTM 390 Adventure will be produced at the Bajaj KTM facility in Chakan, Pune, both for sale in the country and for export. It will be sold through the company’s 430 showrooms across 320 cities and towns in India. Expected launch price is in the range of Rs 2.5 to 3 lakhs.